Carbon materials with highly developed surface area, good conductivity, versatile form, chemical stability and moderate cost are the most common electrode materials for electrochemical energy storage. 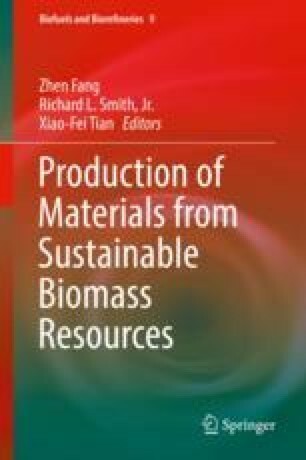 This chapter covers the progress on fabrication of conventional and novel nanostructured carbon materials, such as activated carbon, carbon nano-/microspheres, carbon fibers, carbon nanotubes and carbon nanosheets, from inexpensive biomass or biomass wastes and their application for electrochemical capacitors. The effect of carbon structures, including specific surface area, pore size distribution, pore shape, surface defects, surface functional groups, particle size and electrode thickness, on the electrochemical properties of carbon electrodes are summarized. The commercial potential of the biomass-derived carbons for high-performance electrochemical capacitors is discussed.